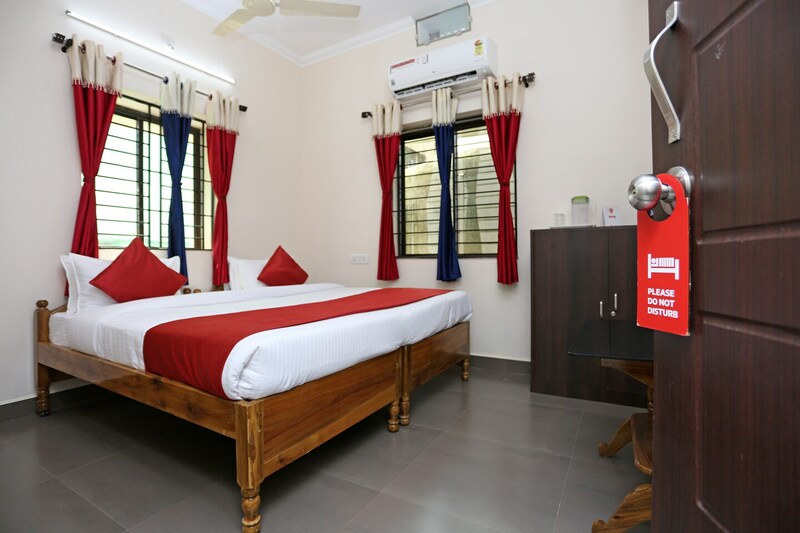 Hotel Shine is a great option for those looking for an elegantly designed hotel with modish amenities. The spacious rooms are adorned with colourful curtains and patterned cushions. The hotel offers Netflix for guests to binge watch their favourite shows and takes care of avid readers with its Kindle service. There is parking facility available and the elevator helps with a hassle-free commute within the hotel. The property provides free Wi-Fi for an uninterrupted connectivity and an option to make payments by card.